George Crumb was born was on the East Coast of the United States in Charleston, West Virginia. After competing his studies at the Mason College of Music in his hometown, he attended the University of Illinois and then the Berlin Hochschule für Musik, where he studied under Boris Blacher from 1955 to 1956. George Crumb is internationally known for music that elicits feelings of mystery and wonderment. By building upon the coloristic legacy of Debussy, the harmonic densities and rhythmic incisiveness of Bartok, and continuing the sonic pioneering of the American composer, Henry Cowell, Crumb has been able to fashion a music of powerful originality that possesses a universally recognized personal stamp and has won Crumb the affection of both performers and audiences alike. Indeed, works such as his Vox Balanae are now considered by many to be part of the standard chamber music repertoire, and his Little Suite for Christmas, written for Lambert Orkis, is performed and recorded internationally by the new generation's leading pianistic talents. Certainly, a hallmark of any Crumb work is his unique use of instruments in which he seeks to expand their color palette through non-traditional playing techniques. Four Nocturnes, Night Music II for Violin and Piano 1964: In the case of Four Nocturnes (Night Music II) for Violin and Piano, a work composed in 1964 reflecting Crumb's early approach to this style of writing, you will witness a multitude of unusual violin harmonics and pizzicati as well as knocking on the instrument itself and manipulating the bow in a variety of configurations. The pianist is also called upon to perform pizzicati and harmonics on the interior of the piano. In addition, there are knockings on the soundboard and the frame of the piano as well as muting of strings with the hand and the use of a wire brush to achieve extraordinary sonic effects. All of these unique techniques would remain curiosities if it were not for the fact that Crumb uses these devices in the service of substantial musical content that create a sonic world of power and beauty. In the Four Nocturnes, it is easy to imagine the magic of the night and the sounds of birds and insects as they go about their nightly rounds being sometimes playful, contemplative, and perhaps, even murderous. Silence, as in all of Crumb's works, plays an important role in the music as a dramatic device that heightens tension between major musical events. 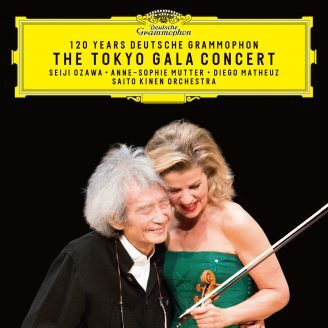 Anne-Sophie Mutter on George Crumb: Many years ago when I listened to George Crumb's Voice of the Whale, I was both fascinated and moved at the same time. His compositions are characterized by his ability to unexpectedly use the expression of each instrument to its fullest. One feels as if one has entered into a completely new world of sound.